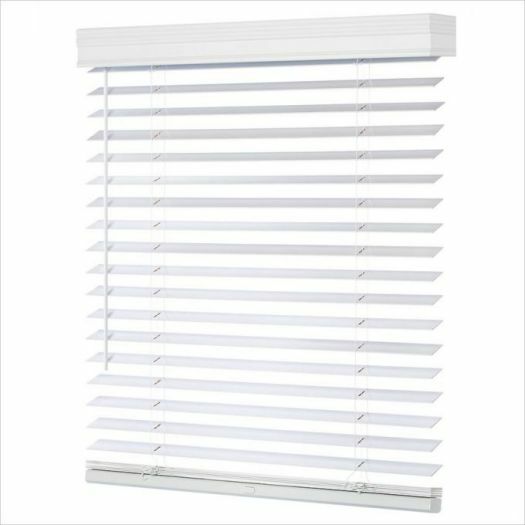 2 Blinds on 1 Headrail (+$69.63) ? Cordless Lift n' Lock requires Tilter Control Wand. 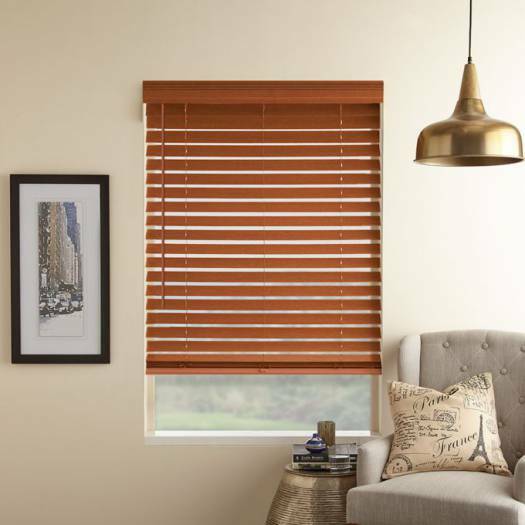 The 2" Designer Signature (Good Housekeeping) Wood Blinds add warm, traditional look to your windows. 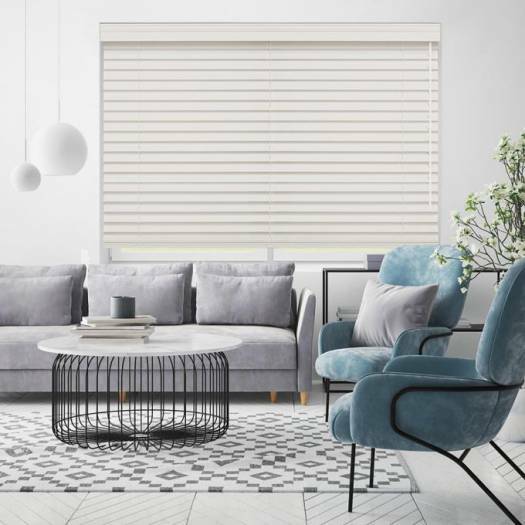 Made from 100% basswood, these wood blinds feature premium colours in warm whites and rich stains with furniture style finish that compliment your flooring, furniture, cabinetry and other existing wood finishes in your home. 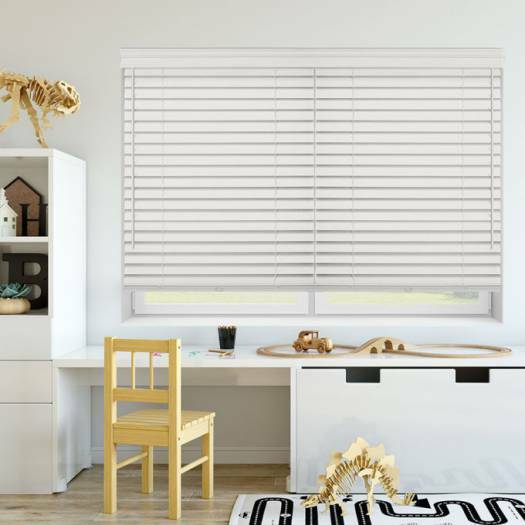 The 2" slat is versatile for its clean, classic appeal and proportions that work well in windows of most any size. 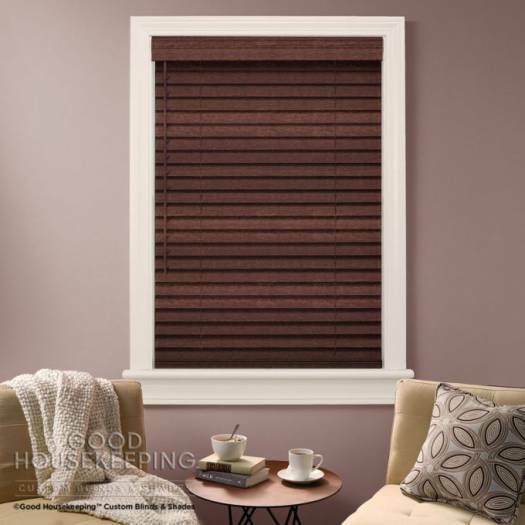 Add your personal touch to your real wood blind with cloth tapes or optional rounded corners. 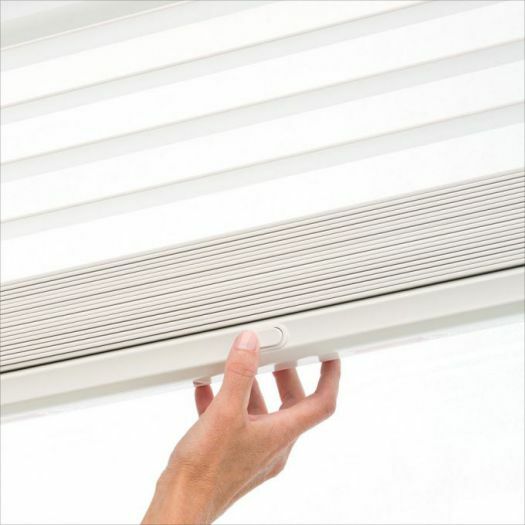 Shop with confidence as these blinds are backed by the Good Housekeeping Seal. 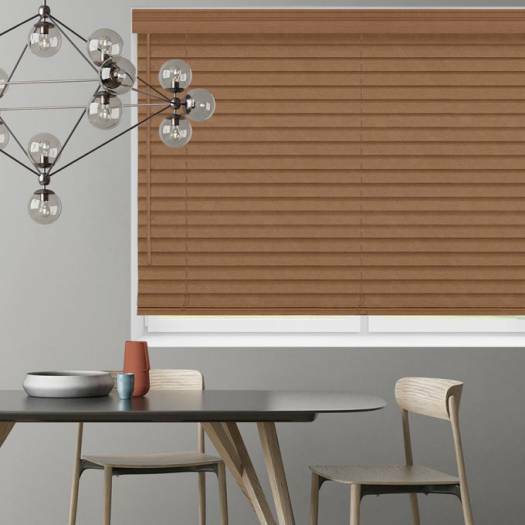 Alloy wood blinds are made from a combination of hardwood and engineered thermal polymer materials. 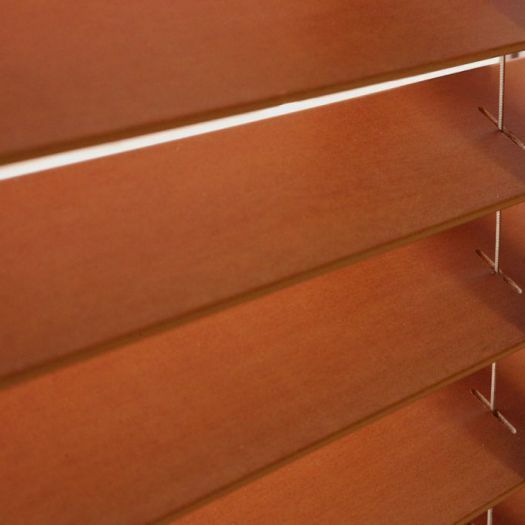 Blinds are durable and resist warping, fading, and chipping. 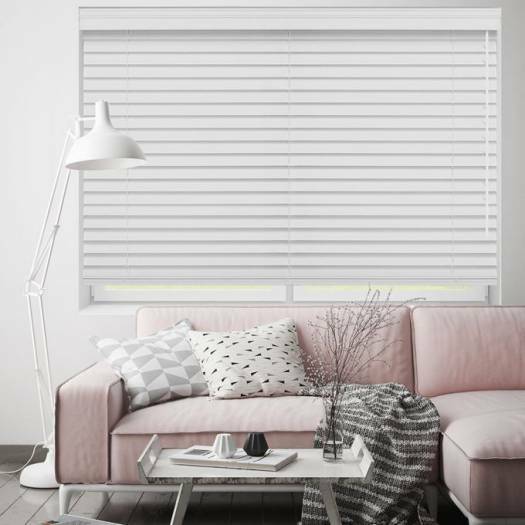 Blinds come with a stylish, colour matched 3" valance to accent the headrail. Trapezoid bottom rail comes standard with all blinds. Choose from wand or cord tilt for operating convenience. No holes privacy option is available for a sleek look and tighter slat closure. Cloth tape is available for additional decorating options. 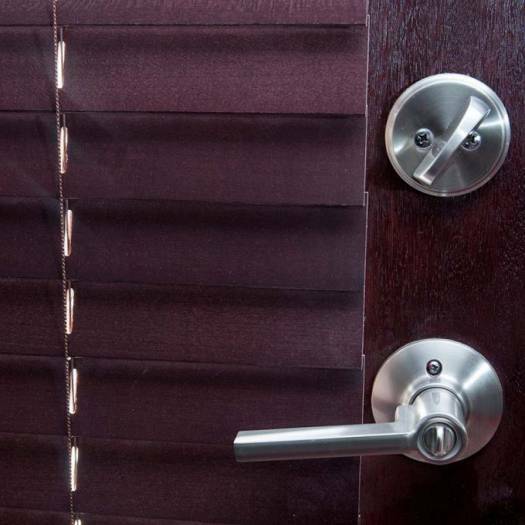 Rounded corner slat option is available to provide a new dimension and an elegant look to blind. 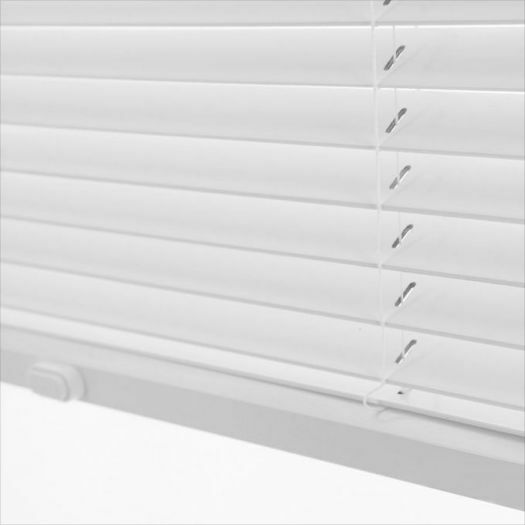 Multiple blinds on 1 headrail is available for larger windows. 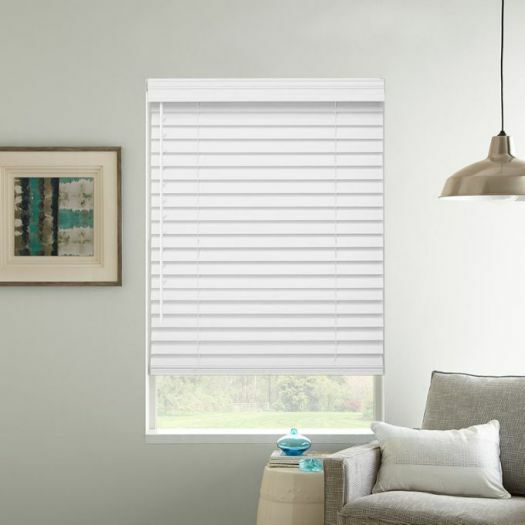 Blinds 12" and smaller in width will have center tilt only, no lift cord. 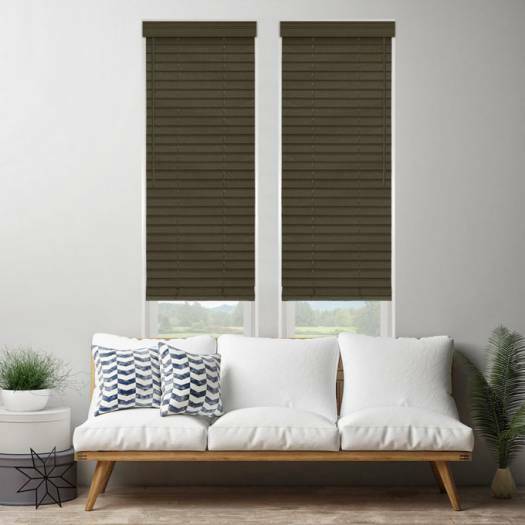 Cannot have lift cord and tilt cord on the same side of blind, must be split. 3/4" deduction off headrail, 1/2" deduction off slats for inside mount. 1/4" off headrail, no deduction off slats for outside mount. Inside mount returns are not available on this product. The videos on the website were very helpful. Great blinds! The room looks much better. They bring elegance and quality.